is essentially made out of flour, water, oil, eggs (could be without), seasoning and herbs. It could be any combination of those ingredients, which are then mixed together to form a dough. The dough is then rested, after which it is rolled thin and cut into different shapes (rectangles for lasagne, long narrow strips for spaghetti, and long flat strips for linguine…etc). 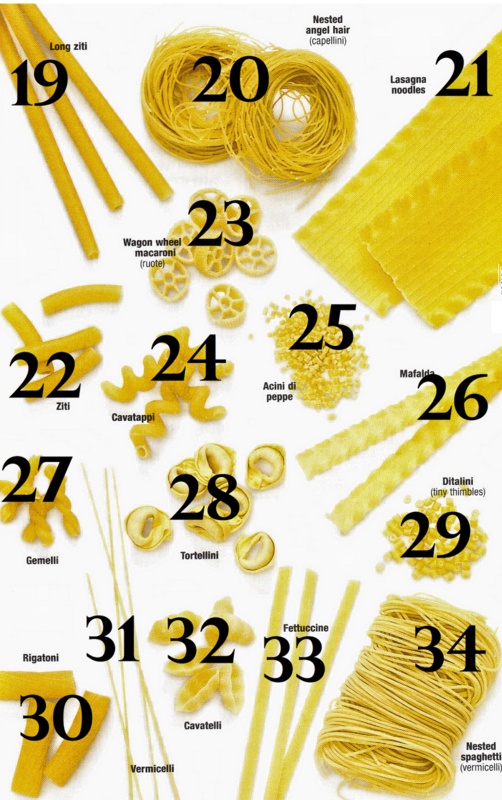 These are the main traditional ingredients used in making Pasta, but of course there are other variations. 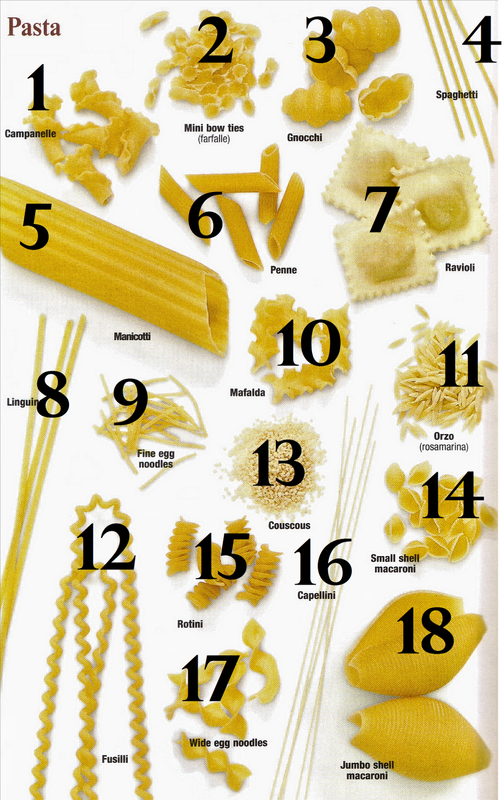 There are many forms of Pasta. Most are categorised as Italian or Oriental. The Italian variety is classically durum-wheat based. The Oriental pasta, on the other hand, is made out of different flours and starches and is usually long strips of pasta, known as noodles. With that said, the former classifications are of the new world, as in ancient times it was quite different. But that is a whole other discussion that I will leave for another time. There is a good range of Italian pasta that is non-wheat based and made with other flours instead. These are mainly for health food markets in order to cater for those who are wheat intolerant for instance, or eliminating wheat products from their diets. Rice pasta and Buckwheat pasta are to name a few, but with the increased interest in grains and other starches, nowadays you can find many other varieties. Pasta is either fresh (Pasta Fresca) or dried (Pasta Secca). It can be shaped in a variety of shapes. It can also be flavoured with an array of aromatics, herbs, and flavourings. 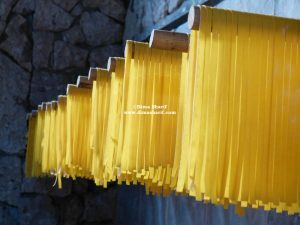 Pasta Secca – drying pasta is carried out to elongate its shelf life. The earliest known reference to Pasta (in Italy) is traced to Middle Ages Sicily and has been a basic food in Italy ever since, especially in Naples and Rome. 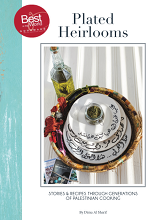 However contrary to common belief, Pasta did not originate in Italy, it is in fact an Arabic creation that moved to Italy by means of the Arabs through Sicily (more to follow in a dedicated post). Because Pasta was globally popularised from Italy, it is therefore most known and referred to as ‘Italian-Pasta’. The industrial manufacturing of pasta replaced home-made pastas and made it available everywhere. Since then Pasta has become a part of many cuisines, who have adopted this ingredient into their offerings. only it has not been hung – after rolling and cutting – on pasta hangers and left to dry. The hard form of pasta is used and cooked in the same manner as fresh pasta. The only difference is that it might require a few minutes longer to cook. However, dried Pasta has a longer shelf life, whereas fresh pasta has to be consumed within a few days. 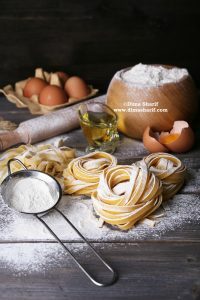 Also worthy of notice that fresh pasta is mainly made using durum wheat and at times regular wheat flour, however the dry pasta is best made using semolina. A wide variety of ingredients could be used to flavour fresh or dried pasta some of which are vegetables such as spinach, sun-dried tomatoes and recently sweet potato. Herbs like oregano, basil, rosemary and sage are also used in flavouring pasta and so are some spices such as nutmeg, allspice and at times even saffron (a very common ingredient in Sicilian cuisine, which is very well influenced by the historic Arabic cuisine)! The most traditional Flavouring ingredients used with Pasta are: Spinach and Tomato. But other ingredients can be used as well not only to flavour but also to colour Pasta! Beetroot for example gives pasta a strong colour and a mild flavour. Black pasta is essentially made using squid ink, and green pasta comes from the use of spinach. This kind of treatment in colour and flavour is what allows you to create signature dishes that are unique and stand out from the rest. Black Pasta, for instance, is gorgeous and adds a dramatic touch to your plate. After all, when constructing a dish, colour is an important aspect to take into consideration; just as important as flavour and texture. The same applies to flavour. If you can incorporate pesto into the pasta dough, that will add a layer of flavouring and make your pasta way more interesting. This is why making your own pasta is far better than buying the ready made generic ones. Don’t get me wrong, there is nothing wrong with buying pasta, we all do, and there are very good quality pastas in the market. But for more interesting pasta concoctions, and for more unique dishes, making your own will definitely step up the play. It becomes a whole different ball game! The term ‘Baked Pasta’ refers to dishes that contain Pasta and are baked. The pasta in those dishes had to be boiled then assembled in a dish with the rest of the ingredients. These days manufacturers are producing baking pastas – like lasagne, tortiglioni, bucatini, conchiglie and caravattine – that do not need to be pre-boiled before baking. They can rather be stuffed or layered dry then baked in generous proportions of sauce. The liquids from the sauce, and being covered with foil at first to build steam, will all cook the pasta without the need to pre-cook. Another dimension to pasta and just as important is: stuffing. Stuffed pasta varieties include: Ravioli, Tortellini as well as Agnolotti, Cappelletti, Cannelloni, Lumache, and Manicotti…etc. Some will be available stuffed dried or fresh. Others will have to be boiled then stuffed by you. Stuffing may consist of cheeses, vegetables and |or meats. Obviously, the ready stuffed ones cannot even compare to those made at home! The work, the patience and creativity that goes into making your own stuffing makes it way better than the generic, and usually poorer manufacturer’s stuffing. manufacturers have to think in terms of profit and loss, as such sometimes the margins are determined in terms of the generosity in quantities as well as quality of the ingredients. Using 2 cheeses and a variety of mushroom types in the filling, is much more expensive than using 1 cheese and an herb. Also using the real Parmigiano Reggiano is more expensive than the processed simulation of Parmesan cheese… and so on… you get the drift! Another variety of pasta, just as important as all the previous ones are, ‘Soup Pastas’. These are fairly small in size and are added to soups towards the end of cooking. These mini pasta have also become very famous in Salads. 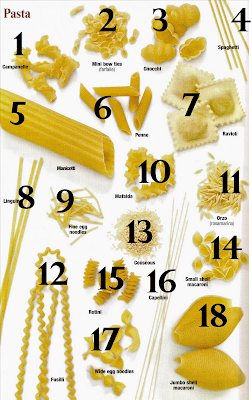 Soup Pasta include Vermicelli, Linguine, Pennette, Stelline, Risoni, Anellini and Conchigliette. The pasta needs to be able to move freely in the boiling water, therefore use a big pot and enough water for large quantities. Otherwise, it will become too starchy and sticky. Pasta is cooked in a heavy bottomed saucepan, 3/4 full of salted water. You can, if you wish, add flavoring to the boiling water, such as freshly cracked black pepper, herbs, spices, garlic, Parmesan shavings…etc. Flavoring the boiling water this way will eventually flavor the pasta. But you do not need massive amounts of water to cook your pasta in. A general rule of thumb is that the pasta must be sealed with the boiling water. Long dried pasta, like spaghetti, need to be gradually pushed into the water. You will put the pasta in the pot and wait till it softens, then push it in slightly, and so on until its covered. 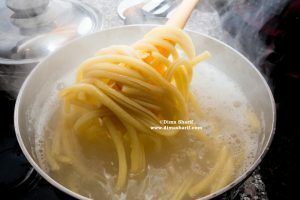 The perfect doneness of pasta is called ‘Al dente’; which is when the pasta is softened and no longer hard to chew, yet still retains a slight bite, and is still firm and holds shape. With fresh pasta, Al Dente is hard to achieve. So cook it until it is still firm and holds shape, but not and too soft because that is when it becomes overcooked. Fresh pasta never has a proper bite. But make sure you do not overcook the pasta – until it is too soft and loses shape. The cooking time depends on the quality of the pasta, the type of wheat used in its making, its size and the amount of pasta being cooked. As a general guide (but do check your pasta while cooking to make sure): Dried vermicelli takes 4-5 mins; dried long pasta like spaghetti take 11-12 mins, and large pasta take about 12-15 minutes. All fresh pasta take from 3-8 minutes, depending on their size. Tip – Timing for pasta cooking begins when the water returns to boiling after the pasta had been added. When using Pasta in a salad, immediately after removing from the water, drizzle it with Olive Oil so it doesn’t clump as it cools down. If the Pasta is to be served hot, then drain it after the cooking has finished, and do not rinse. Then add the sauce it’s served with immediately, and serve it hot. In some recipes, you might have to allow 1-2 extra minutes of cooking with the sauce. In this case, reduce the first cooking time. One trick to make the sauce stick to the pasta is to add a little bit of the boiling water to the sauce. The starches released into the boiling water will act as adhesives allowing the sauce to stick to the pasta. There is a huge variety of sauces to be served with pasta. Many are tomato based, but there is also white sauce, flavoured white sauces, browned or burnt butter sauces, creams, cheese sauces, Bolognese, Milanaise…etc. Pasta dishes often include meats, fish, shellfish, ham…etc. They are often served with herbs, cheeses, vegetables…and the fillings may include: Meat, spinach with white sauce and cheese, mushrooms, sausages, livers…etc. Pasta is usually served as a starter to a meal, usually followed by a meat/poultry/fish dish, but could also be served as a side to a main dish or as main at times. Let’s talk about the huge Italian movement out there whose aim is to reclaim Italian cuisine! Did you know of this? Well, yes there is! 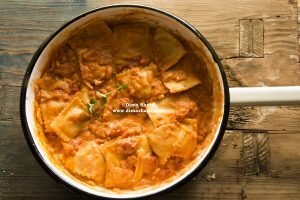 These people behind the movement believe that because Italian cuisine is the most popular and loved cuisine in the world, Many people have started cooking their versions of “Italian foods and concoctions”. As such and with time, these “Italian dishes” became very far off from their original and authentic source, at times not even Italian at all, except for the use of an Italian ingredient such as pasta or Parmesan cheese or truffles to name a few. Restaurants not following the authentic Italian way of making the food have led to many people around the world being confused what real Italian food and cuisine is. So much so that when in Italy tourists complain that the food they have in the restaurants there is “not Italian”! The Italian chefs and people took this to heart and started a movement to reintroduce authentic Italian cuisine and “real” Italian food to people all over the world and thus the movement came to life. What do YOU think? Are you a purist who looks for the authentic experience? Or are you OK with fusions, mixes and matches so long as they taste good? Do you feel that the authenticity of cuisine should be preserved? Or are you with the view that supports the notion of ‘leaving the things of the past in the past and today the world is a global village and everything goes’?